Since 1995, our student-focused consumer portals and special interest microsites have helped millions of students find and connect to colleges, universities and educational programs worldwide. Designed to help students sort through the overwhelming array of educational options available to them, our sites help simplify the process of finding schools and programs that meet their needs. Our sites offer a wealth of continually replenished and refreshed content to help students make the most informed decisions about their educations and career paths. eLearners.com is a trusted and comprehensive directory of online and campus programs that has attracted highly qualified visitors since 1999. eLearners.com provides students with the guidance and tools to help them select the school that’s right for them, including information on programs, financial aid, careers and jobs, and how to succeed as an online or traditional student. EducationConnection.com matches prospective students to accredited online and campus schools that are ideally suited to their unique academic interests and lifestyles. Through our persuasive television and online marketing campaigns, Since 2005 Education Connection has promoted the advantages of going back to school. Unlike directory sites, visitors are matched to accredited online or traditional campus schools that meet their unique needs. EducationConnection.com is the only portal of its kind backed by national broadcast exposure, reaching millions of people monthly. 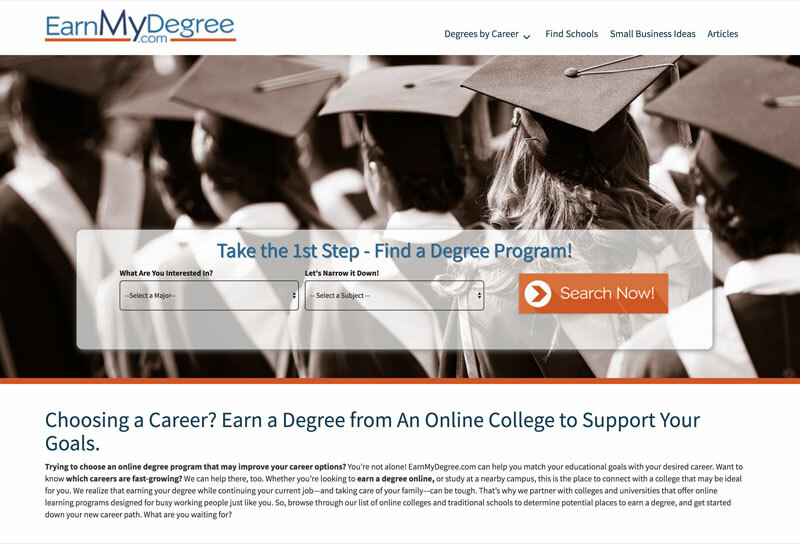 EarnMyDegree.com is designed for adults interested in returning to college to earn their degree and features information on both online and campus schools. Since 2001, EarnMyDegree.com has connected students, who arrive through a diverse mix of partner-driven traffic, to quality education options that include degree and certificate programs. 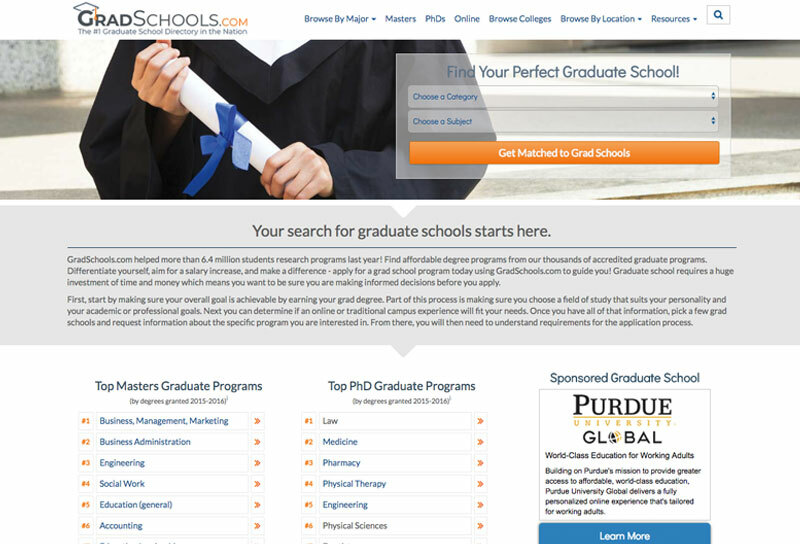 GradSchools.com has served more than 53 million prospective students since 1996 and currently has more than 700,000 monthly visitors. The site is the most comprehensive online graduate school guide helping prospective students find the best graduate schools and degree programs. StudyAbroad.com has been connecting U.S. students with international education programs since 1995. 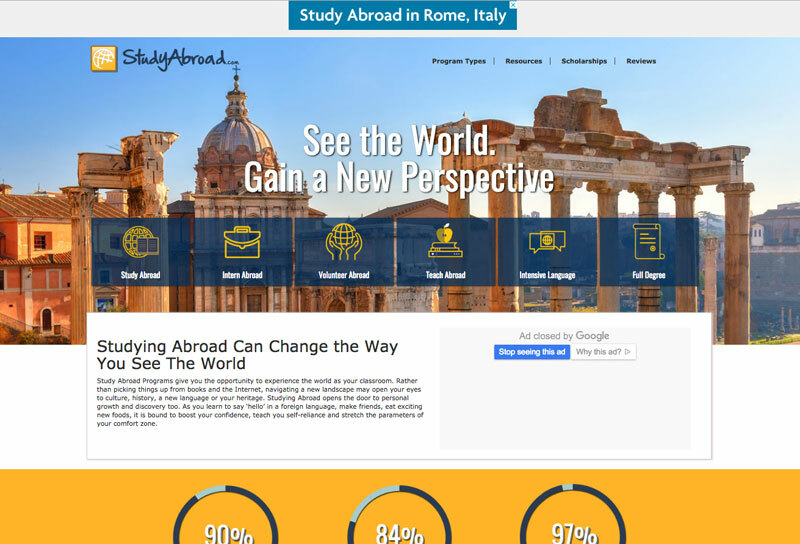 StudyAbroad.com is an all-inclusive directory of more than 15,000 study abroad programs in more than 150 countries. The site eases the search process for nearly 1.7 million prospective study abroad students per year with simple navigation and reliable, updated international education information, including study abroad resources and destination descriptions. 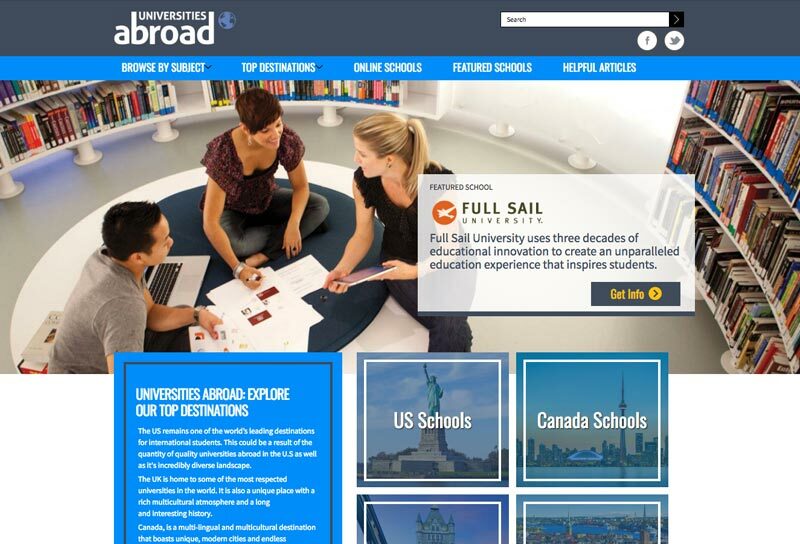 UniversitiesAbroad.com provides undergraduate and graduate programs and information for international students interested in studying in countries other than their own. Visitors are provided with a user experience developed specifically for the needs of an international prospective student. The site provides easily searchable certificates, associate degree, college degree, graduate degree and doctorate degree programs. 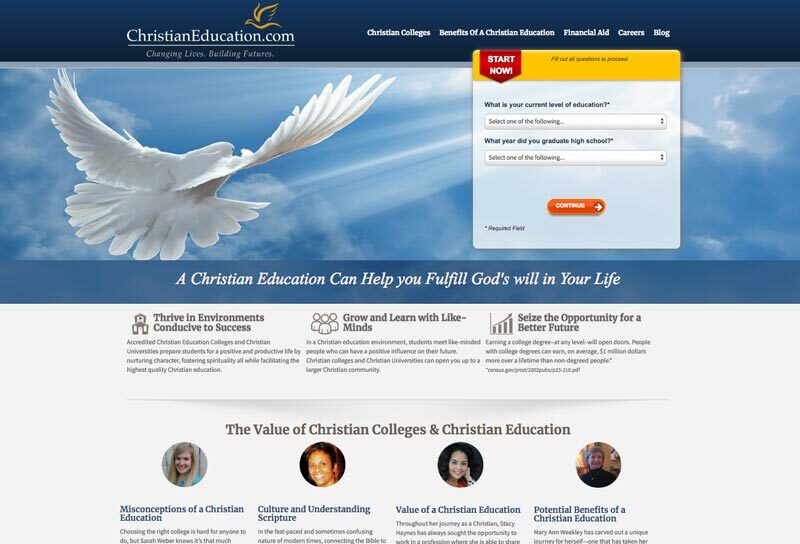 ChristianEducation.com is the leading “go-to” resource for individuals seeking high quality, Christian educational opportunities. 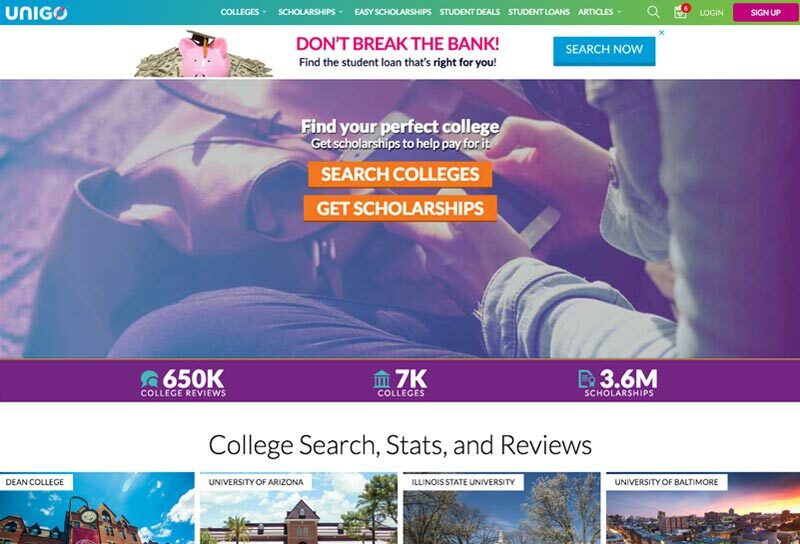 The site brings value to the search process by providing users with tools that connect them to the most appropriate Christian colleges and universities, helping them build their futures in accordance with their specific goals. Unigo.com's innovative engagement and enrollment solutions, combined with our thriving community of over 1.6 million future and current college students, make us uniquely positioned to connect institutions of higher education with more prospects, students, alumni, and advocates. Tailored SaaS solutions, targeted web properties, and consumer funding programs fuel a network that annually powers millions of unique interactions between college consumers and our partners in higher education and commerce.